Help Move President Obama Forward on Climate! Though these words were inspiring, I know that they are only a first step. What is needed now is for the President to take real and decisive actions to move away from unsustainable fossil fuels, and he has a clear opportunity to do this by rejecting the Keystone XL tar sands pipeline. If approved, this pipeline would transport 830,000 barrels per day of tar sands oil from Canada to the Gulf Coast, in the process crossing over two thousand miles and six states. The construction of this pipeline would be a huge step in the wrong direction on the path towards sustainable energy sources, massively expanding the United States' consumption of tar sands oil, which is one of the most carbon-intensive fossil fuels in existence, and providing a pathway for increased tar sands mining in Canada. You can find more information on the disastrous impacts of the Keystone pipeline by at the National Wildlife Foundation's website. President Obama is set to issue his decision on the pipeline sometime this year, so organizations including 350.org and the Sierra Club are coming together to organize a Forward on Climate rally on February 17th in Washington DC to urge the President to live up to his inaugural promises, reject the pipeline and take action on climate issues. Check out a great preview video for the rally by clicking here. I'm excited that Abby Mohaupt (the editor of PEC's newsletter and a workshop leader at PEC's upcoming conference), Nancy Corson-Carter (a former PEC moderator) and I will all be at the rally, along with tens of thousands of other people who are passionate about climate action! I encourage you to join us, in order to send a decisive message to the President about our collective commitment to care for and protect God's Creation. If you are able to come, please sign up here! If you can't make it, there are plenty of other ways you can participate in this important Creation care advocacy from all over the country. Please pray for President Obama as well as for all those who will be attending the rally. I also encourage you to sign this open letter asking President Obama to lead the way on climate issues, or to write your own personal letters to the President urging him to reject the Keystone XL pipeline. Finally, don't forget to let your congregations, friends and families know about the urgency of the pipeline decision, and get them involved in prayer and letter writing as well! Don't forget: PEC's 2013 Conference is coming up! Join us for "Ethical Earth Care: Keeping Creation Sacred", the 2013 Presbyterians for Earth Care Conference to be held October 16-19, 2013! 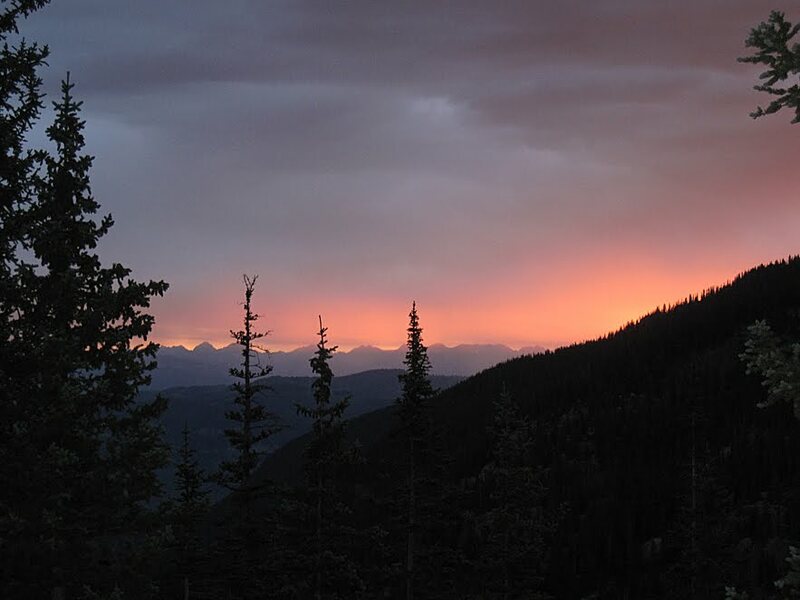 Presbyterians for Earth Care invites you to share October 16-19 with an amazing leadership team to reflect deeply on Creation care and how we can protect God's Earth. We have an exciting leadership team to guide and challenge us. This includes keynoter and ethicist Larry Rasmussen, ThD, Reinhold Niebuhr Emeritus of Social Ethics, Union Theological Seminary, New York City. Larry will share how our spiritual and ecological ethic must include the well-being of all creation including our primal elements of earth, air, water, and fire. The Rev. Neddy Astudillo, eco-theologian, will be our worship leader and the Rev. Bryan McFadden, singer and songwriter, will be the conference music leader. There are multiple excellent workshops lined up as well! Leaders include Rebecca Barnes-Davies, Associate for Environmental Ministries, PC(USA), Andrew Kang-Bartlett, Associate for National Hunger Concerns PC(USA) and Leslie Woods, Associate for Domestic Poverty and Environmental Issues, Office of Public Witness, PC(USA). 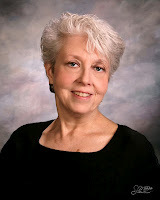 Nancy Corson-Carter, previous moderator of PEC, will share "Contemplating our Holy Center". Abby Mohaupt, Pastoral Resident, First Presbyterian Church, Palo Alto will lead with Rebecca and Neddy a workshop on Eco-Spiritual worship planning. Stan Adamson (Pastor of St. Andrew Presbyterian in Boulder) and Bryan are leading a workshop on Celtic music and worship. Katie Preston, Tom Pakurar, John Preston and others will share on urgent topics related to mountain top removal, fracking, uranium mining and much more! A pre-conference educational tour is scheduled for Wednesday, October 16 and includes a tour of Heifer International Headquarters and the Clinton Library. Both organizations hold a commitment to sustainability. On Friday there will be an opportunity to visit Heifer Ranch as well as a special optional field trip. The conference will be held at Ferncliff Camp and Conference center in Little Rock, Arkansas, a beautiful 1200-acre site with a number of wonderfully sustainable features, which promises to be an excellent place for our gathering. Do check out Ferncliff Camp and Conference Center’s website at www.ferncliff.org! Registration information for the conference will be available in March, so please stay tuned and spread the word! We are looking forward to seeing you at the conference! It will be deeply enriching with LOTS of information on how to go back to your church and community prepared to engage more fully in sustainable and sacred Earth Care. Today, we share with you an excerpt of an article from the collaborative Presbyterians for Earth Care issue of Unbound Magazine. This reflection excerpt is by the Rev. Neddy Astudillo who will be the worship leader at PEC’s 2013 Conference. Please click here for the entire article! We hope her words inspire and embolden you in your own earth caring work in this new year. Este texto tam­bién está disponible en español. An uneasy feel­ing moves freely through the air these days, while the words of the Gospel keep pro­claim­ing: “Go! and share the Good News with all Cre­ation” (Mark 16:15). As a pas­tor of a Latino/a min­istry, I find myself strug­gling, daily, seek­ing to find new depths for the Evangelist’s words—while I respond to the urgent needs of real peo­ple, with­out for­get­ting the rest of the earth. Yes! I need to con­fess: my mid­dle class, westernized-Latina self hoped, when com­mit­ting to eco-justice min­istry, that shar­ing the Good News would always be an easy, fun and far reach­ing endeavor. But real­ity increas­ingly con­tin­ues to show me otherwise. Eco-justice work is com­pli­cated, and in many coun­tries today is even dan­ger­ous. It touches and chal­lenges many aspects of social life and spe­cial inter­ests. But it is nec­es­sary, if we want to seri­ously and faith­fully care for God’s earth in a sus­tain­able and tran­scen­dent manner. .... Today’s envi­ron­men­tal cri­sis requires we seek ways to under­stand and trans­late its infor­ma­tion, rec­og­niz­ing the pros and short­com­ings of each eco-theology and faith­fully decid­ing a course of action. We may already be late in some of our responses, but the Gospel of Mark’s words are the more poignant, as time goes by, not less. Church rep­re­sen­ta­tives... can­not always speak openly about the com­plex­i­ties of these issues; but church lead­ers, youth, teach­ers, pas­tors, com­mu­nity groups, the­olo­gians, and NGOs can. We must do it with­out delay, helped by the fact that, far from inhibit­ing action, the com­plex­ity of these issues gives us plenty of ways and places from where to start. I, per­son­ally, will con­tinue my advo­cacy work for immi­grants’ rights. I will con­tinue sup­port­ing our local community-supported farm and will eat organic food as long as my bud­get allows. I will give rides to my church mem­bers who col­lect scrap metal and cans for food. I will col­lab­o­rate with the Back­yard Chicken group, to trans­late mate­ri­als into Span­ish, now that they have con­vinced our City Coun­cil to pass an ordi­nance allow­ing chick­ens in the city. I will con­tinue lov­ing my fam­ily, and will cel­e­brate Saint Fran­cis day at church. I will be stew­ard, and jus­tice advo­cate, and spir­i­tu­al­ist, for while these vary­ing approaches may be insuf­fi­cient alone, they can together inform an eco-theology capa­ble of invit­ing those young peo­ple back into the church, and the church back into the world and its deep need. We encourage you to click here to read Rev. Neddy Astudillo’s entire article, which includes a reflection on her time at the People’s Sum­mit dur­ing the Rio+20 UN Earth Summit! Read more articles like this one in the Nov 2012–Jan 2013 issue, “Hope for Eco-Activists: Dis­cov­er­ing an Envi­ron­men­tal Faith”, and check out Rev. Neddy Astudillo’s blog, “Eco-Justicia”! [i] Eaton, Heather, Intro­duc­ing Ecofem­i­nist The­olo­gies; 2005 (T&T Clark Inter­na­tional, New York NY); Pg 77. Neddy Astudillo is an eco-theologian, a grad­u­ate of McCormick The­o­log­i­cal Sem­i­nary (M.Div. ), and a can­di­date for a D.Min. on Eco-justice Min­istries and Eco-spirituality at Drew Uni­ver­sity. Neddy, a Venezuelan-American, is the pas­tor of an Ecu­meni­cal (ELCA/PCUSA) Latino min­istry in Beloit, Wis­con­sin. Neddy lives in North­ern Illi­nois with her hus­band Tom Spauld­ing and their three teenagers, where they moved eleven years ago to help start the Angelic Organ­ics Learn­ing Cen­ter, an excit­ing and engag­ing place to learn about food, farm­ing, and car­ing for the earth. As part of her doc­toral pro­gram, Neddy has taught Eco-Theology in Latin Amer­i­can sem­i­nar­ies; Guatemala (CEDEPCA), Perú (AETE) & Bolivia (ISEAT). Neddy is a co-author of the NCCC Dec­la­ra­tion “God’s Earth is Sacred”, and of its lat­est book: “God’s Earth is Sacred: Essays on Eco-Justice” (2011). Neddy was also pub­lished in David Rhoad’s book “Earth and Word: Clas­sic Ser­mons on Sav­ing the Planet”. 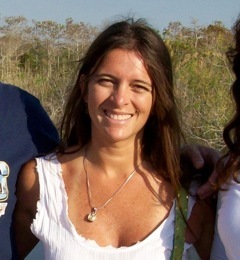 Neddy shares her pas­sion for God’s cre­ation through wor­ship, work­shops and a Span­ish web­site: eco-justicia.org. Epiphany Greetings from the Steering Committee of PEC! 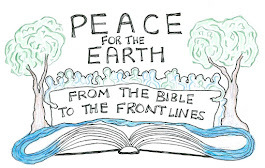 Presbyterians for Earth Care thanks you for your support in 2012 - financially, prayerfully, through your readership, and through your ministry in Earth advocacy and Earth-caring. We are very grateful for your being a part of PEC and look forward to continuing our partnership in 2013. In this season of Epiphany, we are mindful of gift-giving, remembering the Magi who brought gifts from afar to the infant Jesus. I think Epiphany is an especially meaningful time to share gifts, especially in a less-consumeristic sense. I would hope that in this coming year you would consider your dedication and work in Creation care as a sacred gift. It would be a gift which PEC is very happy to recognize and would be most grateful for. Please keep in your mind and prayers our conference "Ethical Earth Care: Keeping Creation Sacred" to be held at Ferncliff Camp and Conference Center on October 16-19. Key leadership includes Larry Rasmussen (Reinhold Niebuher Emeritus of Social Ethics Union Theological Seminary), the Rev. Neddy Astudillo, and the Rev. Bryan McFarland. This will be an excellent event. Also please refer to the PEC website regarding our Policy Priorities document on Climate Care Advocacy. This includes excellent resource information on the many critical issues we will be facing related to the use of fossil fuels. It includes our policy and information on hydraulic fracking, mountain top removal, tar sands extraction, and coal export. Keep in your prayers as well the important work of Eco-Stewards and all our many partners in ministry in the PC(USA) including camps and conference centers, seminaries, and colleges, as well as other ecumenical and ethical earth caring-organizations and individuals. Pray for Creation itself as indeed we all are One. Peace and Passion to you as you share your gifts this Epiphany. Let us, with renewed energy and faith, continue the sacred work of Earth-tending.